Many families have no other option than to place their confidence and trust in the staff in a nursing facility to ensure that their elderly relative receives the best care possible. Unfortunately, many nursing homes place their profits above the rights and needs of the residents. As a result, many residents become the victim of abuse, neglect or mistreatment through various means. In fact, the Elgin nursing home abuse & neglect attorneys at Nursing Home Law Center LLC have seen a significant increase in cases where the facility’s failed to provide residents appropriate care for their health and hygiene. Medicare releases data annually to the public on all nursing facilities in Elgin, Illinois based on inspections, surveys and investigations. Currently, the database shows that inspectors found serious violations and deficiencies at eighteen (23%) of the seventy-eight nursing homes that resulted in harming the residents. If your loved one was mistreated, abused, injured or died unexpectedly from neglect while living in a nursing home in Illinois, let our attorneys protect the rights of your family. Contact the Elgin, IL nursing home abuse & neglect attorneys at Nursing Home Law Center (800-926-7565) today to schedule a free case consultation to discuss filing a claim for compensation to recover your damages. There are more than 111,000 residents of Elgin Illinois. Out of that, 8.6 percent, or approximately 9600 of those individuals are senior citizens. The increasing population throughout the Chicago metropolitan area as place a heavy demand on the number of nursing home beds required to meet the needs of the aging baby boomers. Many facilities have become overcrowded where administrators and human resource departments are unable to fill nursing job positions. A lack of health and hygiene care often results in serious injury. Many times, the nursing facility does not provide adequate training or take appropriate measures to avoid the potential of pressure sores from developing on resident’s skin. If not adequately treated, a simple bedsore can easily lead to serious infection and potentially death. Only through appropriate hydration, nutrition and medical care can the nursing home resident remain healthy and maintain their current level of health or get better. Abuse, neglect and mistreatment occurring in nursing facilities is a serious problem that often can only be remedied directly. Many families who must place a loved one in the care of professional nurses, struggle to determine which facility provides the highest level of medical services. In an effort to help, our Elgin nursing home attorneys continuously review filed complaints, opened investigations and health concerns in nursing facilities all throughout Kane County. We gather this information from federal government and state agency databases including Medicare.gov. The nursing homes listed below throughout the Elgin area currently maintain a well below average score rating compared to comparative facilities nationwide. Each facility has earned one star out of five possible stars rating because of their substandard level of care, accident hazards, maintenance issues or other serious problems occurring within the nursing home. In a summary statement of deficiencies dated 03/25/2015, a complaint investigation against the facility was opened for its failure to “assess and evaluate [a resident’s cause of incontinence [and failure] to identify [the resident’s type of incontinence and 2 analyze [the resident’s] voiding pattern to implement an individualized toileting program.” This deficient practice applies to one resident at the facility reviewed for incontinence. 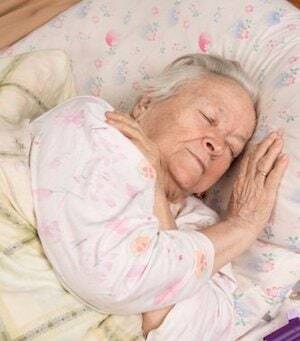 Our Zion nursing home neglect attorneys recognize that any failure to follow protocols and procedures for incontinent residents might be considered negligence or mistreatment. In addition, not providing adequate services that instead strip the resident’s right to dignity and respect does not follow the established protocols adopted by The Grove at the Lake. The state surveyor conducted a 03/12/2015 8:00 AM interview with the facility’s Administrator “who indicated all incidences of Resident to Resident altercations are reported to the Administrator immediately and thoroughly investigated [and that] he was not aware of the alleged incident where [one resident] entered [the room of another resident] and grabbed [that resident’s] leg. Our Wisconsin Elder Abuse attorneys also recognize that the facility failed to immediately report the incident to the Administrator and failed to follow established protocols of reporting the incident to the proper authorities. Our Kenosha, elder abuse attorneys recognize that any failure to report or investigate an act of abuse or neglect violates state and federal laws and might be considered abuse or mistreatment. In addition, the deficient practices fail to follow the established procedures, policies and protocols adopted by Water’s Edge Rehabilitation and Care Center. In a summary statement of deficiencies dated 06/03/2015, a complaint investigation against the facility was opened for its failure to provide “enough staff to meet the needs of the residents in the areas of grooming, hygiene, feeding assistance and supervision during mealtime. The facility also does not have enough staff to provide an ongoing structured activities program to meet resident’s needs and preferences.” The deficient practices directly affect 15 residents at the facility. Our Lake Bluff nursing home neglect lawyers recognize it any failure to provide enough staffing to ensure all residents needs are being met might be considered negligence or mistreatment. The ongoing deficient practice of operating with a short staff violates federal and state nursing home regulations and does not follow the established policies and protocols adopted by Claridge Healthcare Center. The resident in question was originally admitted to Glenlake Terrace Nursing and Rehabilitation Center on 01/22/2014. A Review of the Facility’s 06/28/2014 SBAR Communication Form and Progress Note revealed that the resident was found unresponsive in 3:05 AM when “911 was called. [The resident] was taken to the hospital via paramedics at 3:30 AM. It was indicated in this form that [the registered nurse] left a message on [the resident’s] emergency contact at 3:35 AM. Our Waukegan nursing home neglect attorneys recognize that any failure to follow protocols and inform family members in regards to a resident’s change in situation or declining health might be considered neglect, abuse or mistreatment. The deficient practice by the nursing staff and administration also violated the established procedures and protocols adopted by Glenlake Terrace Nursing and Rehabilitation Center. On 04/30/2015, the resident’s wife told the nursing staff that she will be taking the resident to a foot doctor for a possible infectious disease of the right big toe. The note does not document any assessment of [the resident’s feet. Our Wheeling nursing home neglect attorneys recognize that any failure to provide adequate care and treatment to residents requiring special services might be considered mistreatment or neglect. In addition, it fails to follow established procedures and protocols enforced by federal and state nursing home regulatory agencies. In a summary statement of deficiencies dated 03/12/2015, a complaint investigation was opened against the facility for its failure to “identify the resident before administration of medications and [a failure] to provide required identification band per policy resulting in medication errors.” This deficient practice applies to one resident at the facility. At some point, the nurse “realize he gave the wrong medication to the wrong resident [and] called the supervisor and physician.” A few hours later, the resident “was lethargic, very weak, coughing and gagging” and was then transferred to the hospital. “To administer medication, within the state guidelines, in a safe manner. Procedure includes precautions [including] observe the seven rights and giving each medication [that includes] the right resident; the right frequency/time; the right medication; the right dose; the right route/technique; the right documentation; and the right form. Identify resident by name, if alert or by using photograph. Any condition, event or accident that results in a wrongful death. When residents in nursing facilities become victims of neglect and abuse, the Elgin nursing home abuse attorneys at Nursing Home Law Center LLC provide their voice in civil court. If you have your suspicions that your loved one is being neglected or abused while residing in a nursing facility, you can get help to stop the mistreatment now. Our Illinois team of experienced lawyers can provide immediate legal representation for your loved one suffering negligence, abuse or mistreatment. Schedule your free, no obligation full case review today by calling our Kane County elder abuse law offices at (800) 926-7565. We do not charge for our initial, no obligation consultation and accept all personal injury, nursing home neglect and wrongful death cases through contingency fee arrangements. This means you will only pay us for your legal services after we recover damages on your behalf through a negotiated out of court settlement or at the conclusion of a successful jury lawsuit trial.